Apple's entry-level 9.7-inch iPad with Apple Pencil support, priced starting at $329 for consumers and $299 for schools. Subscribe for regular MacRumors news and future iPad info. What's Next for Apple's Most Affordable iPad? Rumors suggest Apple is working on an updated version of the $329 sixth-generation iPad, which will likely continue to be called just "iPad." The new version of the device is expected to get a slightly bigger screen, with Apple upgrading it from 9.7 inches to approximately 10.2 inches. 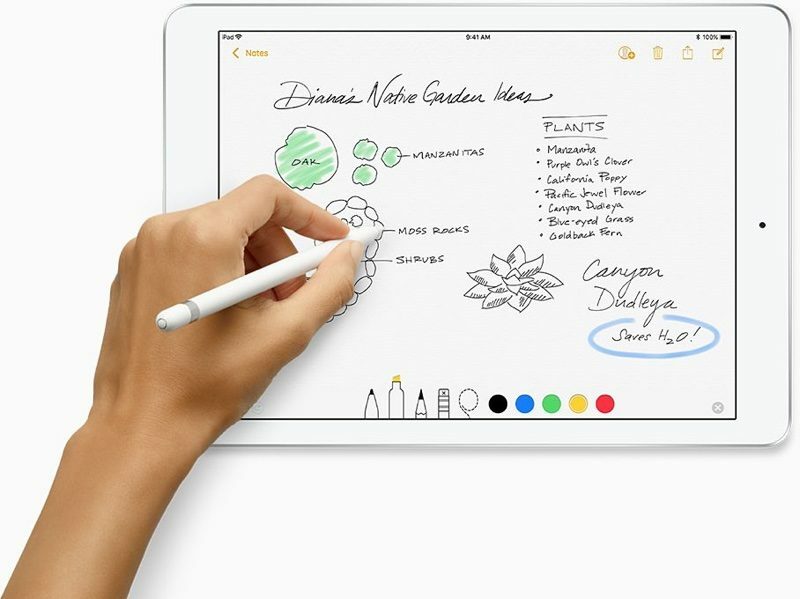 Like the sixth-generation iPad, the seventh-generation model will support the Apple Pencil. It could also be released alongside a Smart Keyboard, and it will continue to use Touch ID. Apple is expected to introduce a processor upgrade alongside the new 10.2-inch display. There were rumors from Bloomberg and DigiTimes pointing towards a spring 2019 launch for the new $329 tablet, but Apple introduced a new iPad Air and a refreshed iPad mini in March, but no new $329 iPad appeared. Many of the launch rumors that were thought to be for the new $329 iPad were perhaps for the 10.5-inch iPad Air, and it is now unclear when Apple might introduce a refreshed $329 iPad. Apple could refresh the lower-end tablet later in the year, perhaps at the June WWDC event or the September iPhone launch event, but a spring launch no longer seems likely. Apple's sixth-generation iPad, released in March of 2018, is an iterative update to the low-cost fifth-generation iPad introduced in 2017, but with some exciting new feature additions that make the tablet even more of an incredible value. Positioned as an affordable entry-level tablet for both educational institutions and individuals on a budget, Apple's newest iPad is priced starting at $329 for standard customers and $299 for schools. That's the same low price as the fifth-generation model, even though there's new hardware inside. A cellular + WiFi option is available for an additional $130, and additional storage is available for another $100. The sixth-generation iPad continues to offer a 9.7-inch Retina display, which now supports the Apple Pencil through a higher-resolution touch sensor. The Apple Pencil can be used for writing, drawing, sketching, navigating, and other tasks, and it's an invaluable input tool for students who need to use the iPad to learn. Apple Pencil works the same on the iPad as it does on the iPad Pro, with advanced sensors to measure pressure and tilt, advanced palm rejection, and low latency for seamless note-taking and illustrations. 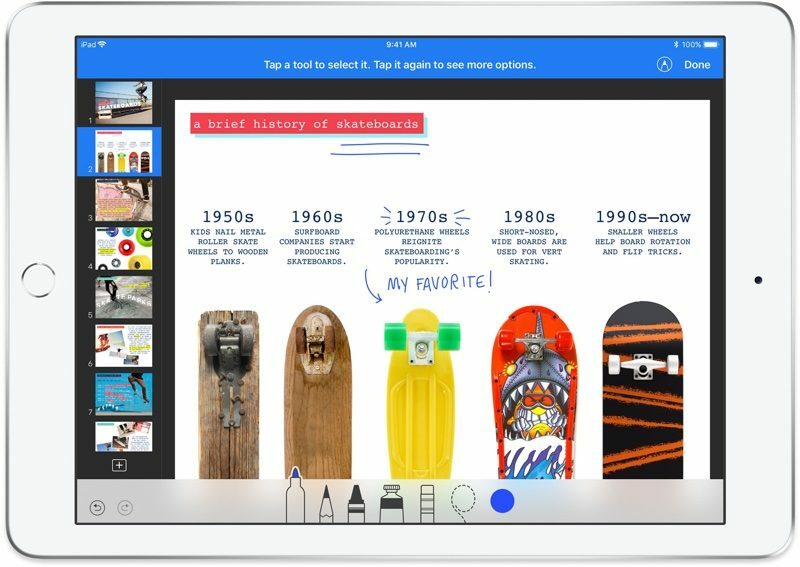 With the new iPad, Apple also added Apple Pencil functionality to existing apps like Keynote, Pages, and Numbers. Aside from the addition of Apple Pencil support to the new iPad, the device continues to look the same as the fifth-generation iPad, with an aluminum body that is thicker and smaller than the more expensive 10.5-inch iPad Pro. An upgraded A10 Fusion chip powers the sixth-generation iPad and paired with advanced cameras and sensors, it enables powerful augmented reality apps that can be used for everything from learning to gaming. The A10 Fusion chip, first used in the iPhone 7 and 7 Plus, is a major improvement over the A9 chip in the fifth-generation iPad. The new iPad supports all of the latest features introduced in iOS 10 and iOS 11, including the Dock, Split View multitasking, Drag and Drop, easy document access through Files, ARKit apps and games, and more. Aside from an improved processor and display with Apple Pencil support, the iPad includes an 8-megapixel rear camera, a 1.2-megapixel FaceTime camera, 10 hours of battery life, Touch ID, Apple Pay support, and 802.11ac Wi-Fi. Available in Silver, Space Gray, and Gold, the iPad starts at $329 for 32GB of storage and is available for purchase from the Apple online store and Apple retail stores. The Apple Pencil is available separately for $99. Schools can purchase the new iPad for $299, and the Apple Pencil for $89. For educational institutions, Apple has partnered with Logitech to create both a $99 Rugged Keyboard Case and a $49 Crayon stylus, both of which are exclusive to the new tablet. 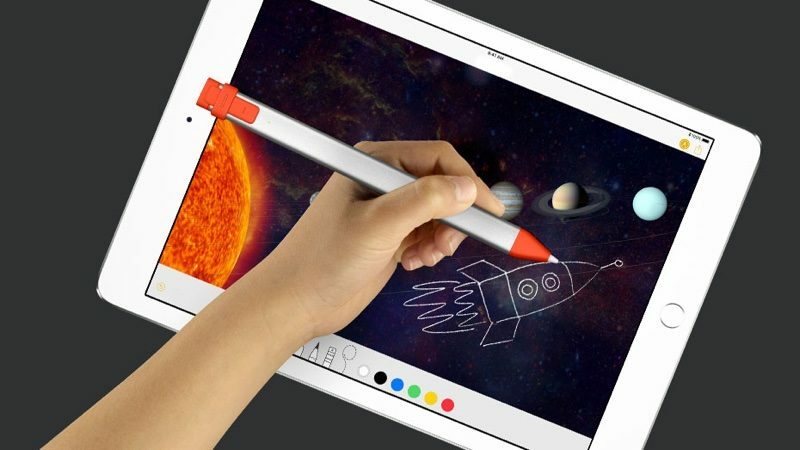 The Crayon is designed as a low-cost alternative to the Apple Pencil, but it is limited to educational customers and won't be sold to the public. Compared to the more expensive 10.5-inch iPad Pro, the new iPad lacks the Smart Connector that works with the Smart Keyboard, quad speakers, a laminated display with wide color and True Tone, ProMotion and the improved front and rear cameras. 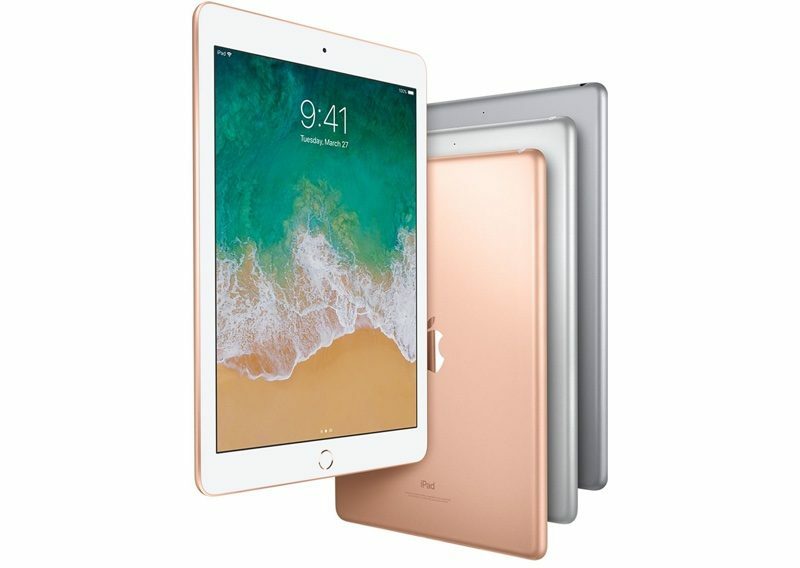 The 2018 iPad is identical in design to the 2017 iPad, with a 9.7-inch display surrounded by slim side bezels and thicker top/bottom bezels with an aluminum case that comes in Silver, Space Gray, or a new shade of Gold. There's a front-facing FaceTime HD camera at the top of the tablet, along with a Touch ID fingerprint sensor at the bottom. At the back, there's a rear-facing camera, and at the bottom, there are speakers and a Lightning port for charging. Apple's iPad is the only 9.7-inch tablet that the company sells following the 2017 discontinuation of the 9.7-inch iPad Pro. It is sold alongside the larger, more expensive 10.5-inch iPad Pro and 12.9-inch iPad Pro. While the 2018 iPad is thicker than the 10.5-inch iPad Pro at 7.5mm, it is smaller due to its smaller display size. The iPad measures in at 9.4 inches by 6.6 inches. Though thicker than the 10.5-inch iPad Pro, the two tablets weigh the same. The iPad weighs in at just over a pound (1.03 lbs for the Wi-Fi only model), so it's lightweight and easy to carry wherever you go. Unlike iPad Pro models, the iPad offers just two speakers instead of a four-speaker audio system. It also does not have a Smart Connector on the side. Apple's 2018 iPad features a 9.7-inch Retina display with a resolution of 2048 by 1536 with 264 pixels per inch, much like the previous-generation iPad. The display is similar to the display of the fifth-generation iPad with one important distinction -- there's a new higher-resolution touch sensor built in that allows it to work with the Apple Pencil, a feature previously limited to iPad Pro models. Though the display has a higher-resolution touch sensor like the iPad Pro and a fingerprint-resistant oleophobic coating, it is lacking several features that are available in Apple's more expensive tablet. 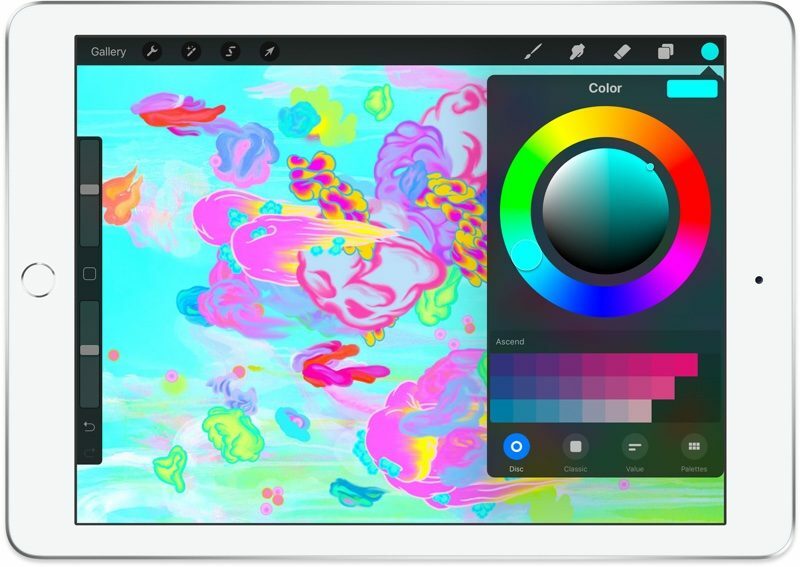 It does not include the laminated design, antireflective coating, wide color support, ProMotion technology, or True Tone capabilities built into the iPad Pro. 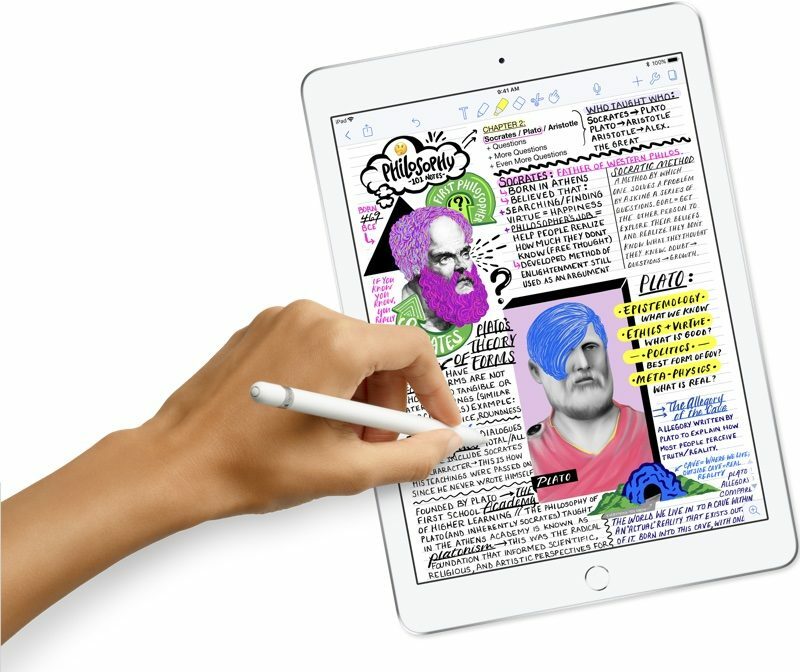 Apple introduced the Apple Pencil alongside the first 9.7-inch iPad Pro in 2015, and since then, it has been limited to Apple's most expensive premium tablets. That's no longer the case with the new 2018 iPad, which offers Apple Pencil support in a tablet that costs just $329. No changes have been made to the Apple Pencil, and it is still priced at $99. Apple says the new iPad's display offers "pixel-perfect precision and responsiveness" when paired with the Apple Pencil, allowing the stylus to be used for sketching, note taking, drawing, and more. 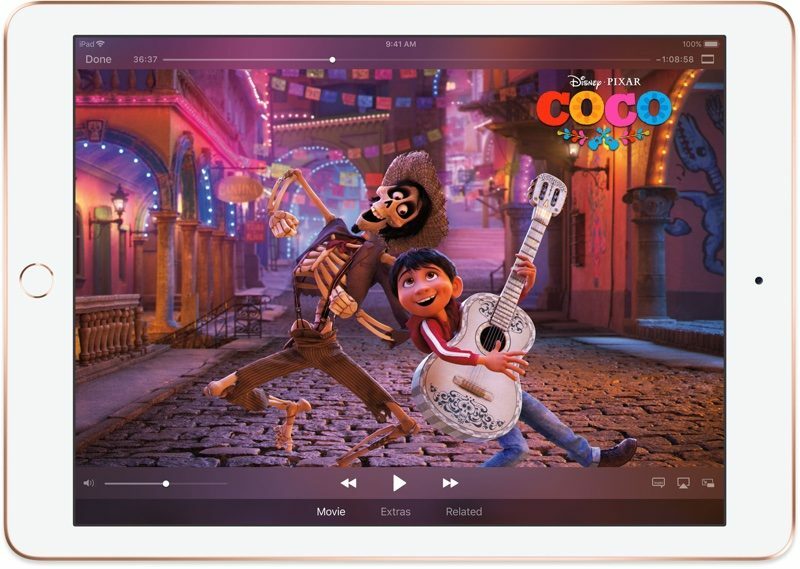 The sixth-generation iPad uses an A10 Fusion processor, which is the same processor that was first introduced in the iPhone 7 and the iPhone 7 Plus. It's old technology at this point, but is still fast enough for every-day tasks. The A10 Fusion is a 64-bit four-core CPU with two high-performance cores and two high-efficiency cores that run at 1/5th of the speed of the high-performance cores to preserve battery when doing non system-intensive tasks. There's also a six-core graphics chip that's both more powerful and more energy efficient than previous models. According to Apple, the A10 Fusion chip offers 40 percent faster CPU performance and 50 percent faster graphics performance compared to the A9 in the fifth-generation iPad. Apple does not divulge the amount of RAM in its products, but like the fifth-generation iPad, Apple's sixth-generation tablet features 2GB RAM. With the A10 Fusion chip and accompanying sensors, the new iPad is capable of taking full advantage of apps and games built using ARKit, Apple's augmented reality API. 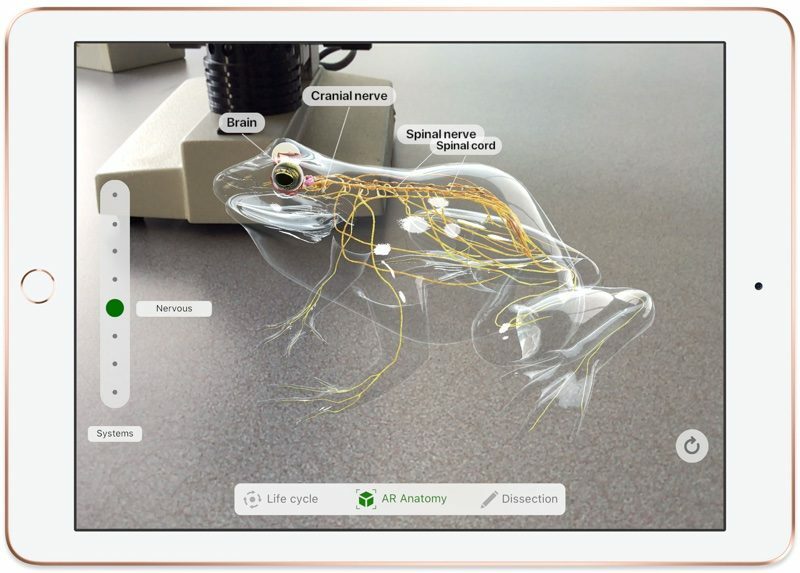 Used in the classroom, the new iPad enables new immersive learning experiences for students when used with augmented reality educational apps. The sixth-generation iPad offers 10 hours of battery life, which Apple says is "all-day" battery. 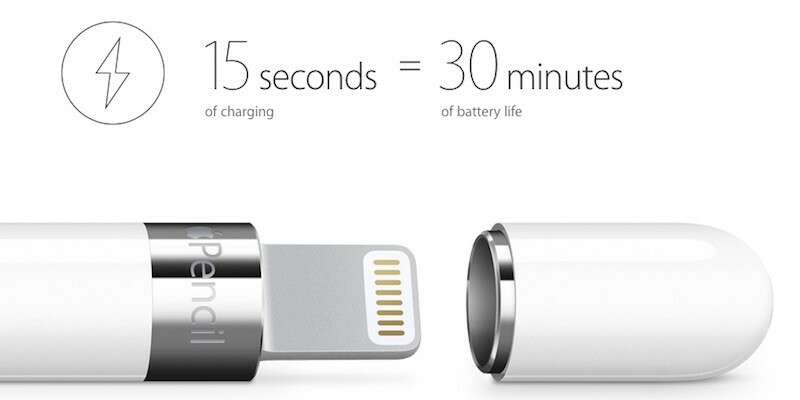 That's the same battery life that Apple has aimed for in its last several iPad iterations. Charging the iPad is done through the Lightning port at the bottom of the device. The iPad has an 8-megapixel rear camera with an f/2.4 aperture, the same camera that was available in the fifth-generation iPad. It supports Live Photos, auto HDR, 43-megapixel panoramas, Burst mode, and Timer mode, but it is not as advanced as the iPad Pro camera. There is also no rear flash. The iPad's camera is able to capture 1080p HD video at 30 frames per second and 720p Slo-mo video at 120 frames per second. Compared to the iPad Pro, it lacks 4K video recording, improved video stabilization, and continuous autofocus. As for the front-facing FaceTime camera, it is 1.2 megapixels and supports 720p HD video recording. The sixth-generation iPad features a Touch ID fingerprint sensor on the front of the device, which is used to unlock the device, access apps, and make purchases with Apple Pay. Touch ID essentially replaces a passcode on the iPad and allows you to limit access to sensitive apps. An NFC controller with a Secure Element is built into the iPad, so it can be used to make Apple Pay payments on the web and within apps using the included Touch ID Home button. The iPad supports 802.11ac Wi-Fi with speeds up to 866 Mb/s and Bluetooth 4.2. 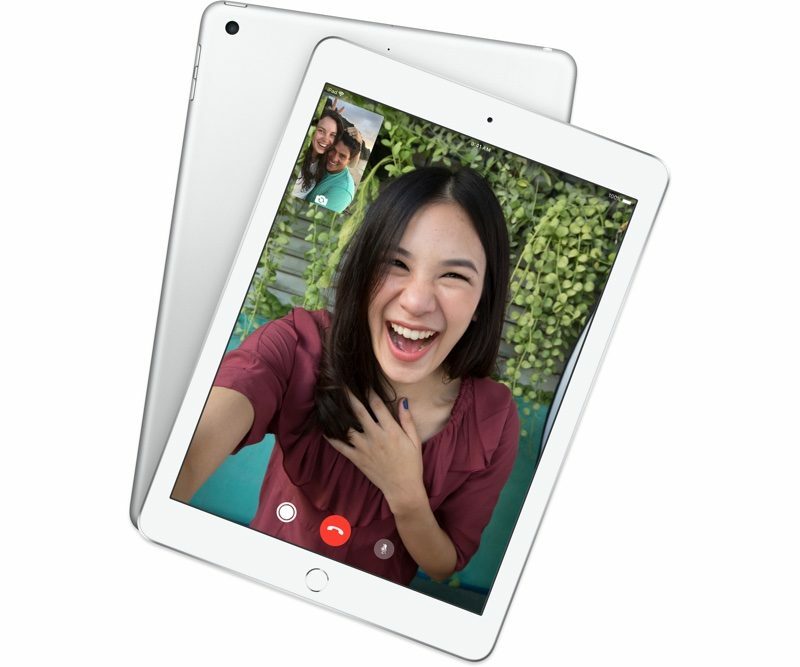 The WiFi + Cellular version of the iPad supports LTE speeds of up to 300 Mb/s, faster than the LTE chip in the fifth-generation iPad, and it includes the Apple SIM for connecting to cellular data networks in more than 100 countries. 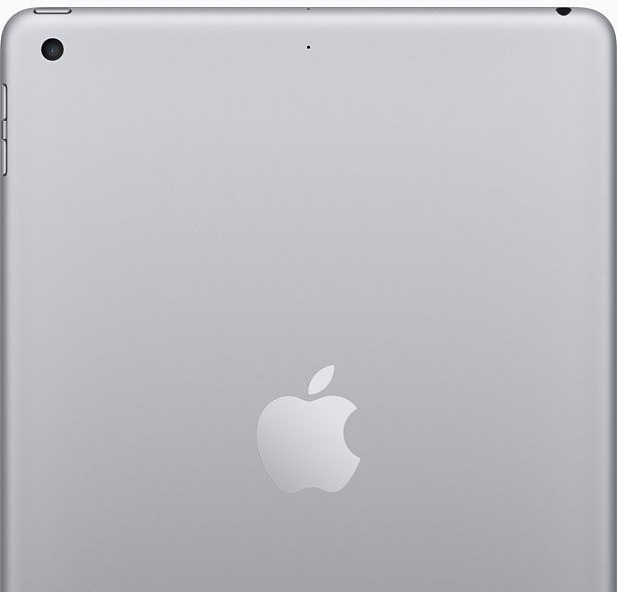 The iPad includes a three-axis gyro, an accelerometer, an ambient light sensor, and a barometer. It might seem like there's little separating the iPad from the iPad Pro now that the Apple Pencil is supported on both lines, but there are still quite a few differences between the two. The iPad Pro has a better display with support for ProMotion technology, which makes everything on the display super smooth and responsive with its 120Hz refresh rate. It also supports True Tone, which adjusts the white balance of the display to match the ambient lighting. Wide color, for brighter, more vivid colors, is also limited to iPad Pro. 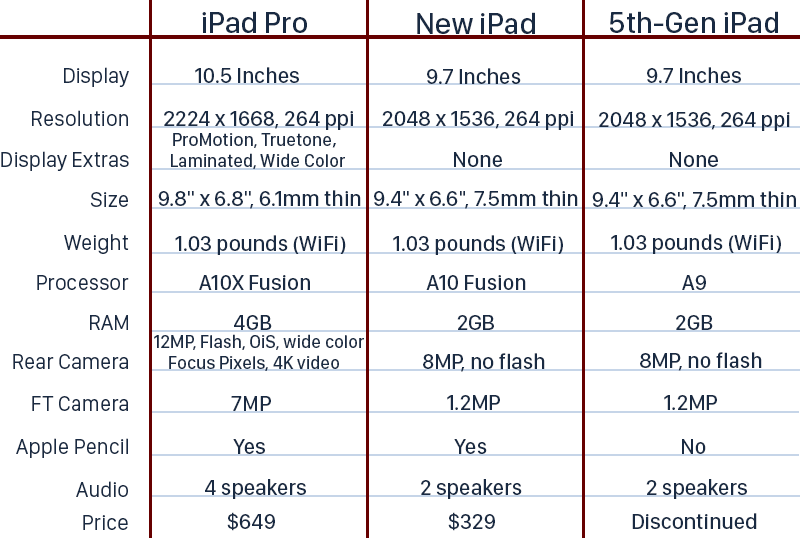 iPad Pro is, of course, thinner and bigger at 10.5 inches (or 12.9) vs. 9.7 inches, and it has a faster A10X processor. LTE speeds are faster, and the cameras are much, much better on the more expensive tablet. Still, the new iPad has a lot going for it, and it can be the better purchase if you don't need the improved features of the iPad Pro. As for the fifth-generation iPad, the sixth-generation model brings a faster processor and support for the Apple Pencil, but the two devices are otherwise unchanged. Anyone can purchase the new low-cost iPad with Apple Pencil support, but Apple designed it with educational institutions in mind, with the goal of competing with inexpensive Chrome OS PCs, laptops, and tablets. The iPad is debuting with multiple new tools and features for students and teachers, such as a new ClassKit framework, Classroom support for the Mac, and a new Schoolwork app that's designed to make it easier for teachers to assign and grade assignments while also monitoring student progress. Logitech partnered with Apple to create low-cost, durable accessories to be used alongside the sixth-generation iPad to add utility and additional functionality. 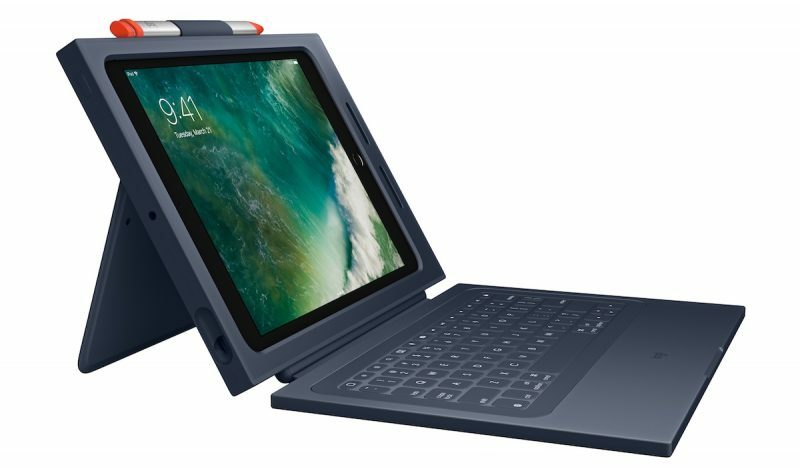 The Logitech Rugged Combo 2, priced at $99, offers drop protection for the iPad while also providing a rugged, damage proof keyboard that's resistant to spills, tampering, and "daily wear and tear" in classrooms. 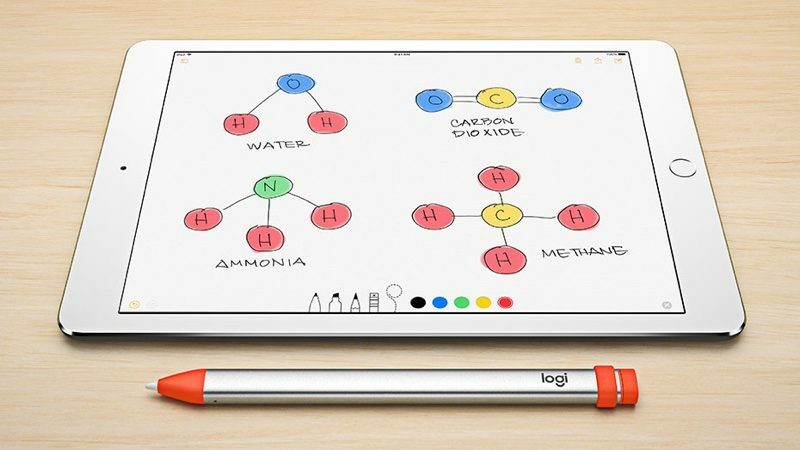 Logitech has also designed the Logitech Crayon, which is a digital stylus that's similar to Apple Pencil and even uses Apple Pencil technology. Priced at $49, the Crayon offers sub-pixel precision, low latency, and tilt support, but it does not have the pressure sensitivity available in the Apple Pencil. The Crayon works with all apps that work with the Apple Pencil, but it is more durable and easier to grip than Apple's accessory. Logitech plans to sell the Crayon only to educational institutions, so it won't initially be available to standard customers. 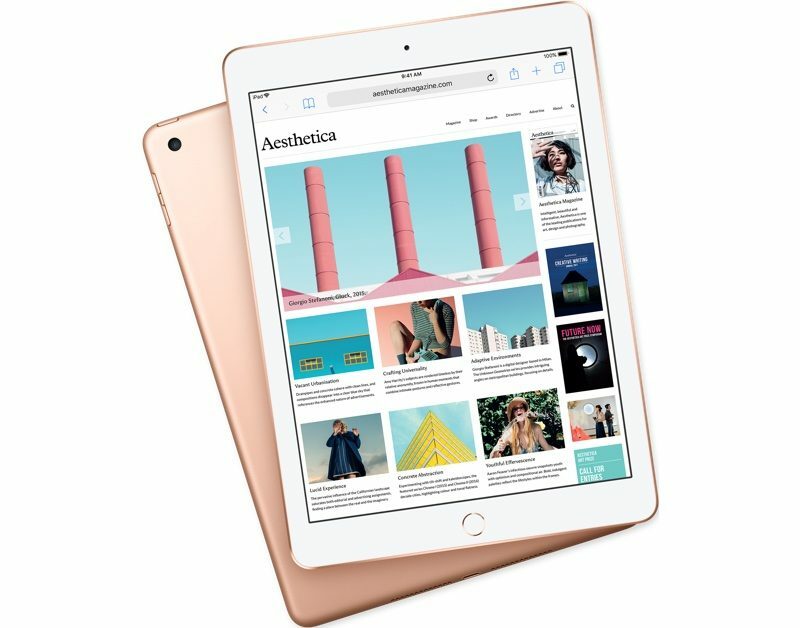 The 9.7-inch iPad, available in Silver, Space Gray, and Gold, can be purchased from the online Apple Store or Apple retail stores around the world. The 32GB storage option is priced at $329, with 128GB of storage available for $429. A Wi-Fi + Cellular option is also available, with 32GB of storage priced at $459 and 128GB of storage priced at $559. The Apple Pencil that works with the 9.7-inch iPad is available for purchase from the online store or Apple retail stores for $99. 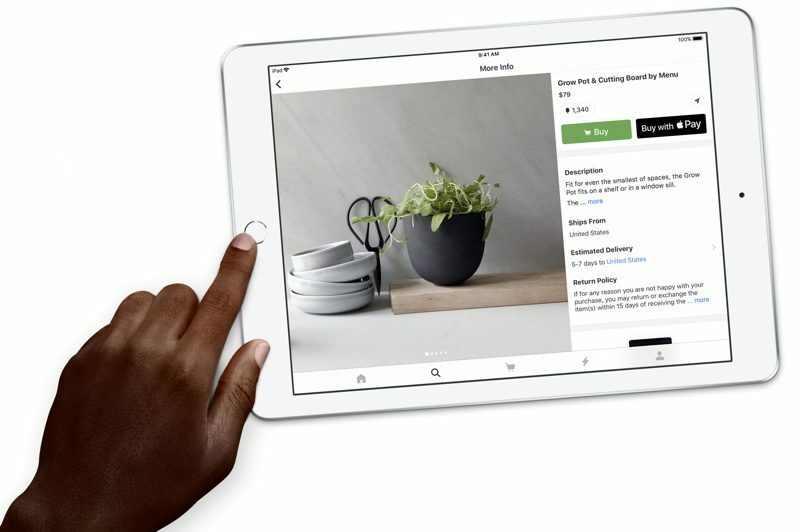 As of November 2018, Apple is offering refurbished sixth-generation iPad models from its refurbished store for a 15 percent discount.